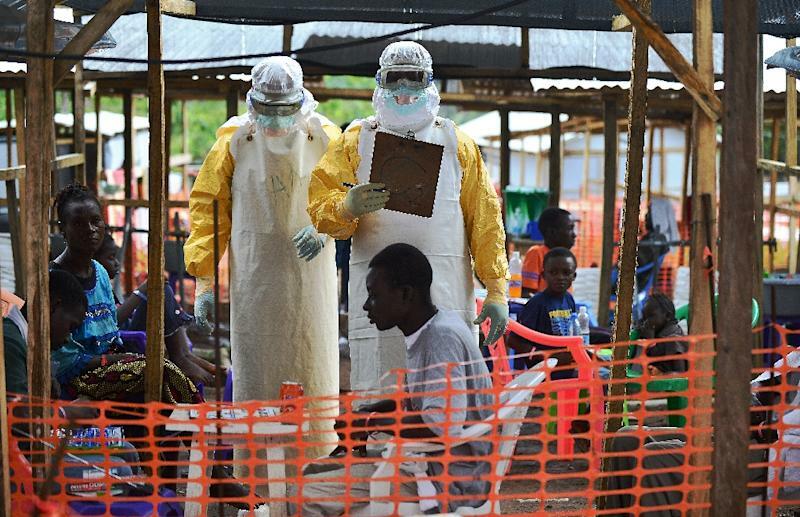 Freetown (AFP) - A second new case of Ebola in Sierra Leone since west Africa celebrated the apparent end of the epidemic last week is responding well to treatment, an official said Friday. The patient, the 38-year-old aunt of 22-year-old Marie Jalloh, who died of the disease on January 12, is "responding well to treatment" in a Freetown clinic, a ministry of health disease control official, Doctor Foday Dafai, said. The official added authorities had yet to determine the origin of the new outbreak. Dafai said the latest sufferer, who the World Health Organization told AFP on Thursday had been Jalloh's "primary caregiver," was in quarantine in the northern city of Magburaka when she tested positive and was transferred to the capital. After visiting the woman, Dafai indicated that "121 contacts have been identified to have been exposed to the index case and 47 of them have been classified as high risk contacts" and so were under observation. Given the potential for further infection he added "it is therefore very important that we quickly locate and isolate" anyone who may have had contact with the latest sufferer. Dafai said a vaccination program for known contacts and overseen by chief medical officer Brima Kargbo was progressing satisfactorily," but urged anybody who may have been exposed to the virus to come forward. "At the moment, we still don't know the source of infection in the first index case involving Marie Jalloh," Dafai said. WHO spokesman Tarik Jasarevic told AFP on Thursday that 150 of Jalloh's contacts had been identified, "of which 42 are high risk." Local people expressed concern over the potential further spread of a tropical virus which is at its most infectious as people are dying or in the bodies of those who have died from a virus which emerged in 2013 in southern Guinea. "We never envisaged that the virus will return so soon just we were about to settle down after 18 months of enslavement," said 25-year-old taxi driver Osman Sesay. A week ago, the WHO had announced transmission of the virus that killed 11,315 people and triggered a global health alert had ended, with Liberia the last country to get the all-clear. Sierra Leone was declared free of Ebola transmission on November 7 last year and Guinea on December 29. But officials warned that a recurrence remained possible and stressed the importance of a quick, effective response to potential new cases. "Even though the cases occurred many miles away from the capital, we still cannot say we are safe because of the mode of human transmission," said Ibrahim Jallo, a timber merchant. Traders say they fear the effect the latest cases may have on the economy. Many pharmaceuticals firms said there has been a big run on dwindling stocks of hand sanitizer gels which manufacturers say kills 99.99 percent of germs and which were widely used in the first Ebola outbreak.